In Issue #39 I reviewed Dennis Rea's Views from Chicheng Precipice, which came out on Moonjune back in 2010. That album presented a Westerner's take on avant-garde music with influences from the Far East. In some ways, Yiju is the flip side of that coin: a Chinese-American's take on Western avant-garde, using mostly acoustic instruments, including several from Chinese tradition. There's more of a feeling of an academic tradition here than Rea's jazz background. Asian percussion backs most of the tracks, and several feature vocals, sometimes with words (in English and Chinese), sometimes not. Several of the tracks feature a variety of gong and other cymbal sounds, female voices interweaving with lullaby-like melodies (one track is titled "Lullaby"), and scraping noises from a string bass. But the mood is basically meditative, so the result is not abrasive. 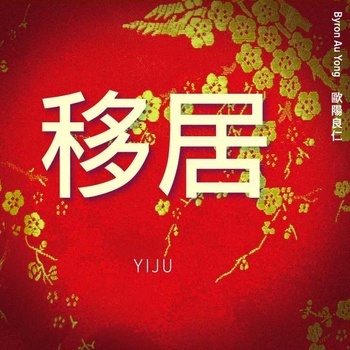 Overall, it's interesting enough, as long as you're not put off by the lack of structure, but at 23 minutes, Yiju seems more like a sketchbook for ideas that will someday result in a fully realized statement than a statement on its own.